I’ve always been a list maker. And because I’m a dyed-in-the-wool cineaste I’ve got movie lists up the wazoo. I’ve seen over 3,800 films and have them all listed in alphabetical order with the year they were released and a rating from 1 to 5 stars. Another of my lists is what films and performances should have been nominated for Oscars, from 1927 to the present. This list started after Saving Private Ryan lost the Best Picture Oscar to Shakespeare in Love. To me the Oscars get it wrong much more than not and I wanted to be able to check year-by-year to see who I thought was award-worthy in a particular year. As time went on I realized that there was frequently more than one performance worthy of winning—why limit it to just one? Of course when conducting a vote of over 5,000 people there’ll only be one winner. But isn’t there something wrong with artists competing? It’s all subjective. The Supporting Actor Oscar for 1939 went to Thomas Mitchell in Stagecoach, and it was well deserved. He’s one of my favorite actors and Stagecoach is one of my very favorite films. 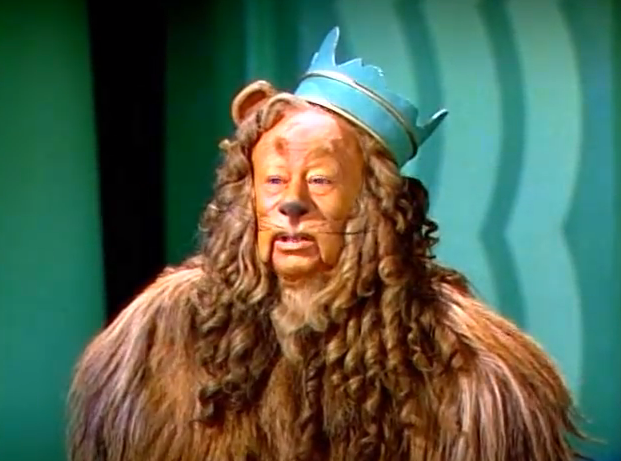 But Lahr as the Lion is quintessential. Another sublime comic performance that was completely ignored by awards. Grant makes it look so easy that he’s often overlooked (he got only 2 nominations, both for dramas). But his many classic comedic performances were unsurpassed: in The Awful Truth, Bringing Up Baby, and especially His Girl Friday he’s incredibly good. 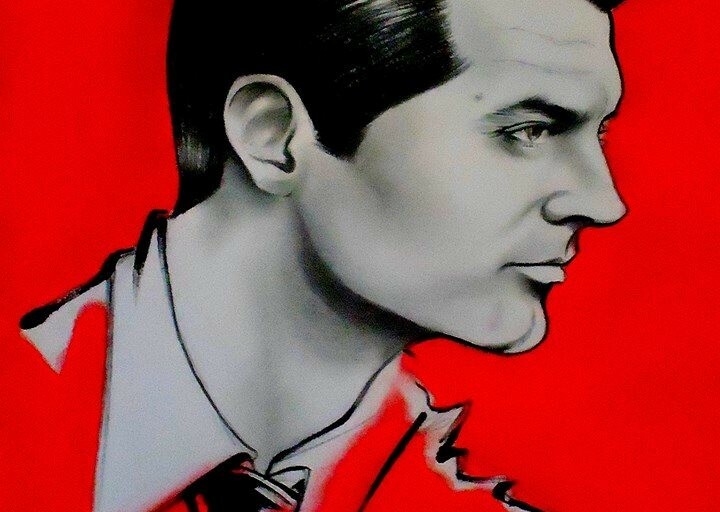 The amalgam of his extraordinary handsomeness, his lightning-fast delivery and physical comedy skills is terrific. And of course he’s matched beautifully by Rosalind Russell in one of her best performances. They make a perfect pair of skilled actor/comedians. (Howard Hawks’ direction obviously helped.) The winner that year was James Stewart in The Philadelphia Story and, of course he’s wonderful in it, but he won more retroactively than deservedly. I think it was a case of “he should have won for Mr. Smith Goes to Washington, so let’s give it to him this year,” a familiar story at the Oscars. 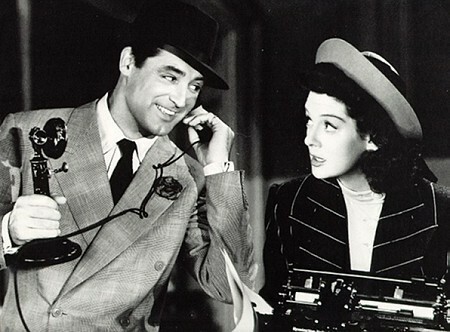 I love Jimmy, but Grant is phenomenal in His Girl Friday. Ms. Davis was an excellent actress with a larger than life personality. Having won two Oscars by the age of 31, she still always tried to challenge herself. 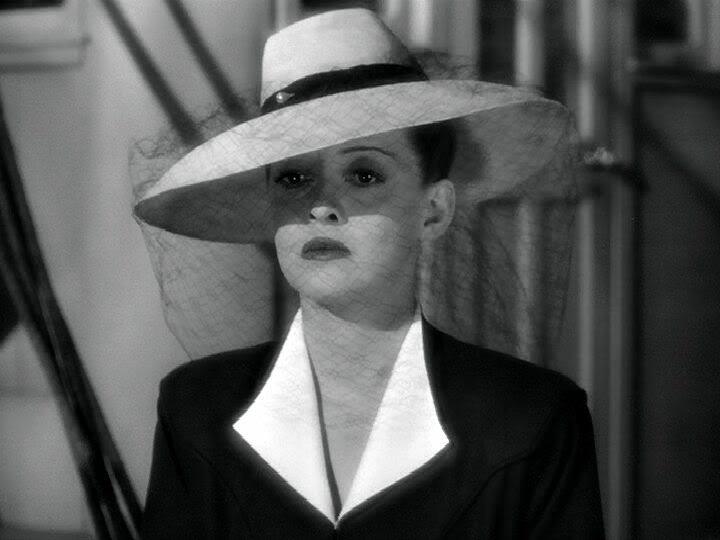 It is often bemoaned that she lost the Oscar for her role in All About Eve, but as fantastic as she is as Margo Channing, to me her performance as Charlotte Vale in Now, Voyager is the pinnacle of her career. It’s a master class in the art of acting on film. You can’t help but to root for her, partially because it’s well written but mostly due to her restraint. As broad as her persona has become over time, she’s extremely subtle here, to great effect. Stewart was a fantastic actor. You Can’t Take It with You, Mr. Smith Goes to Washington, Destry Rides Again, The Shop Around the Corner: remarkable performances. 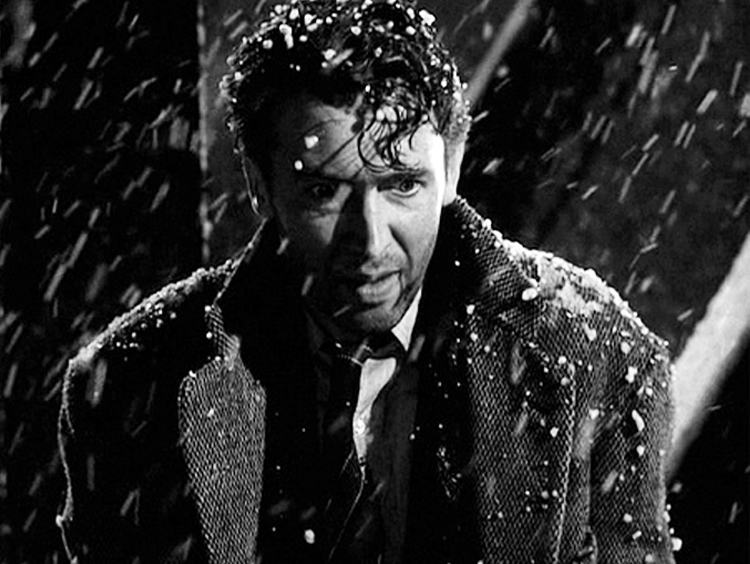 But as George Bailey in It’s a Wonderful Life he creates a living, breathing human, simultaneously specific and universal. There’s not a false note; just devastating. It’s the kind of performance that awards were created to honor. He’s brutally honest emotionally; think of the spectrum of emotions he covers here. Hollywood actors didn’t usually attain this level of achievement no matter how good they were, but Stewart completely nails it. 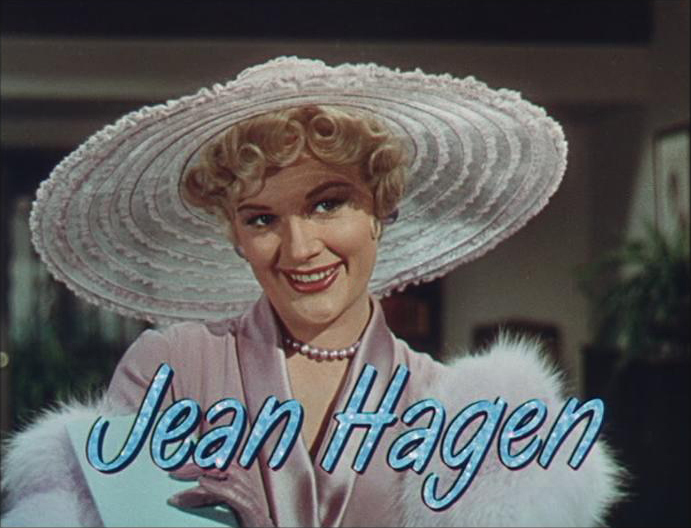 The wonderful script is by Comden and Green, but what Hagen does with the dialogue is sheer heaven. Not only is she hysterically funny as a larger than life narcissistic film star, but the foundation of her performance is rock-solid believability. 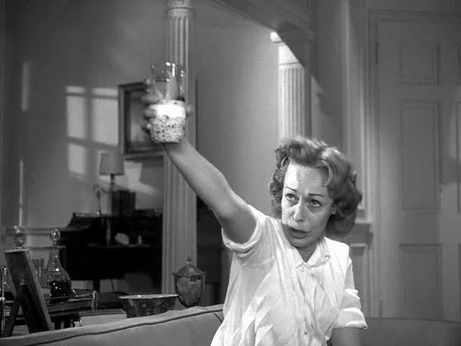 She didn’t have the career her talent should have demanded; this is one of the all-time great film performances. “The biggest robbery since Brinks” said Groucho Marx about the fact that Grace Kelly won the Best Actress Oscar for her role in The Country Girl over Ms. Garland in A Star is Born. The only reason one can come up with for this slight is that poor Ms. Garland turned off Oscar voters with her personal (but hardly private) travails at the time. This is one time in Oscar history that an obviously deserving performance was spurned. Even if you’re not a fan I think you’d have to agree that she’s transcendent in this film. Not to mention that, to be kind, Ms. Kelly was simply not a very good actress. 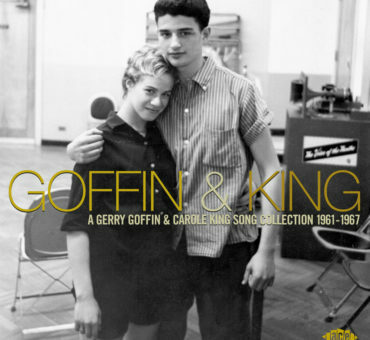 Sixty years later it’s still hard to believe. It’s as if she wandered in from another, better film. Even after having experienced Brando, Clift, and Magnani, actors who dragged film acting into the modern day, Heckart’s performance in The Bad Seed is astounding. Her level of emotional truth and technique are formidable. She utterly breaks your heart with masterful understatement and utter realism. The film itself is now enjoyable as camp, but Ms. Heckart redeems it with the sheer strength of her talent. She lost to Dorothy Malone in Written on the Wind, who is good, but COME ON. And here’s another example of “where did that come from?” Mr. Hoffman was excellent in The Graduate, but that performance would never have led you to believe that he was also capable of fully embodying this pathetic, dissipated character so remarkably. This performance was almost immediately recognized as being iconic: the scene where he bangs on the cab and shouts “I’m walkin’ here” is just fraught with an obscene amount of film acting ability. It’s simply one of the best performances ever. His votes were probably split with Jon Voight, leaving an opening for John Wayne in True Grit. 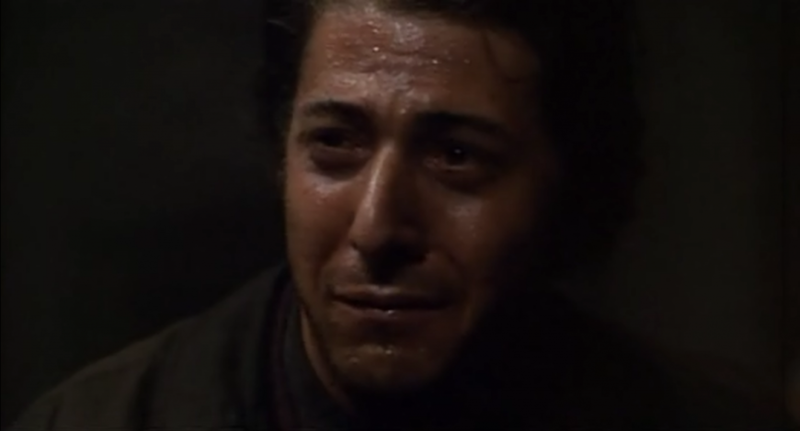 Voight is very good in Midnight Cowboy, as is Wayne in True Grit, but Hoffman could wipe the floor with both of them. Another genius actor at the top of his form, Hackman was so remarkably good so frequently that his versatility was often taken for granted (much like Cary Grant). He wasn’t even nominated for this film. In retrospect this film is eerily prescient, introducing us to a world of constant surveillance and electronic eavesdropping. 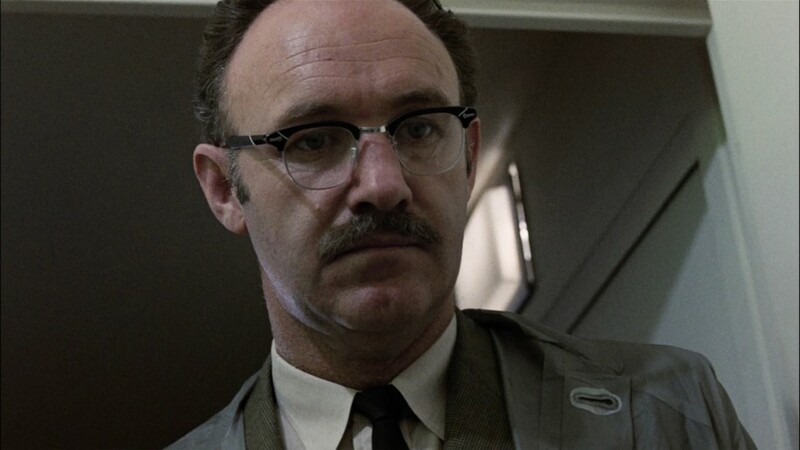 Hackman is scary brilliant as Harry Caul, a man who slowly, irreversibly loses his grip as he sinks lower into the depths of despair. He won twice, for The French Connection and Unforgiven, but here he’s firing on all burners. It’s not hyperbole to say that Ms. Page was one of the great actresses of all-time. She is Olympian in her greatness here. She is boldly naked emotionally without a trace of vanity. She pulls off a staggeringly complicated role with deceptive ease. When she tries to end her life by walking into the ocean, you completely believe it. 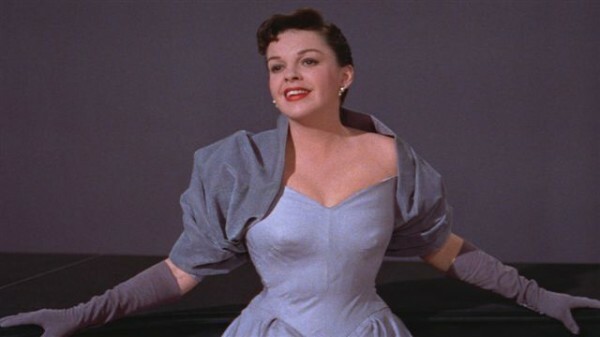 I think that because she’s part of an excellent ensemble, the greatness of her performance was neglected. An uncanny performance by one of the greatest actors ever at the height of her power. As good as it gets. In my estimation one of the best films ever. There’s much to say about the enormity of the film’s power, but Ms. Field’s performance is key. 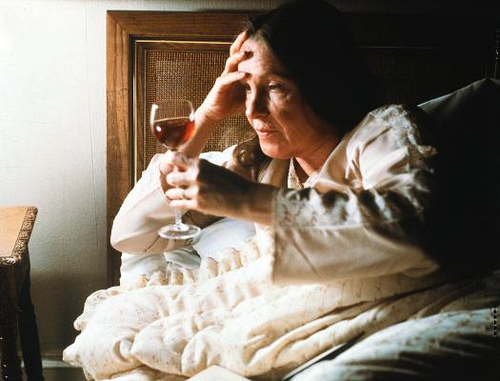 In the scene when she’s having an intense late-night argument with Mr. Day-Lewis as Lincoln about several topics, primarily their son Robert—an irrisitible forece meeting an immovable object—it’s simply a feast of acting artistry. It is well documented that she worked hard to convince Mr. Spielberg to cast her, and we can all be very glad at our good fortune that he did. And not to be mean, but she lost to Anne Hathaway in Les Misérables, whose bathetic performance kept me at a distance from her—she cried for herself so much, she didn’t need any tears from me. If Ms. Field had to lose to anyone, I would have much preferred Helen Hunt in The Sessions. What about Rod Steiger in The Pawnbroker (1964). Oscar went to Lee Marvin for drunken horse nonsense in Cat Ballou. Ugh ! 100% with you on Davis and Garland. Of course, those happen to be 2 of my all-time favorite movies. But still! Hi David. Thanks for reading and checking in. Question: Wouldn’t you want to see “Now, Voyager” before you agree?? Great list! 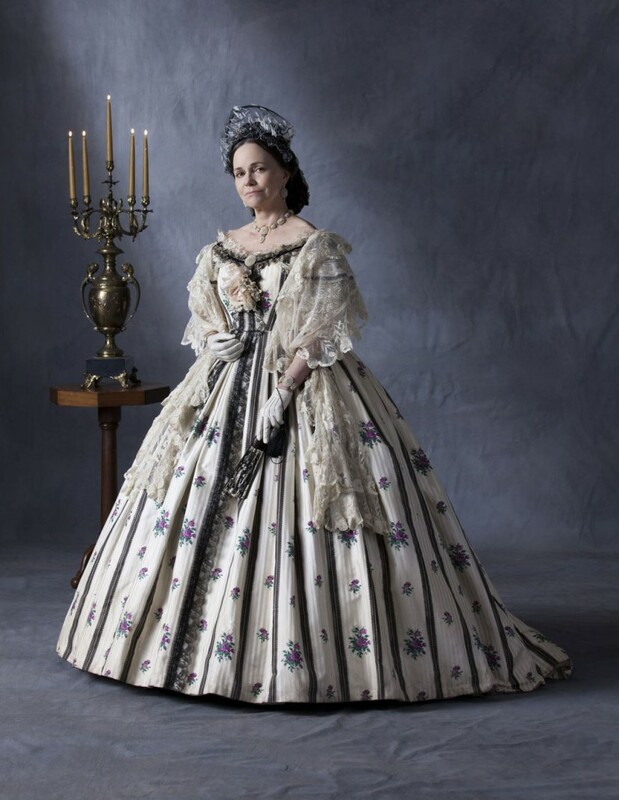 I love that you included Sally Field in “Lincoln.” She really was robbed. I have some to add, of course — doesn’t everyone? Hi Jay. These are wonderful ideas. I will forward to John. Thanks for reading Stargayzing by the way. If you want to take a moment, I have a nice monthly newsletter that I distribute just to Stargayzing readers. It is the best way to keep up with the latest. 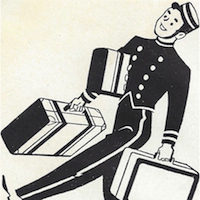 It is on the right rail of the home page. Thanks again for reading. 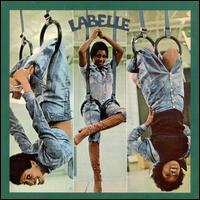 Stargayzing Song of the Day: Labelle's "When the Sun Comes Shining Through (The Ladder)"